In an article distributed on their newsletter and website featured EDEALO.com and we are grateful. 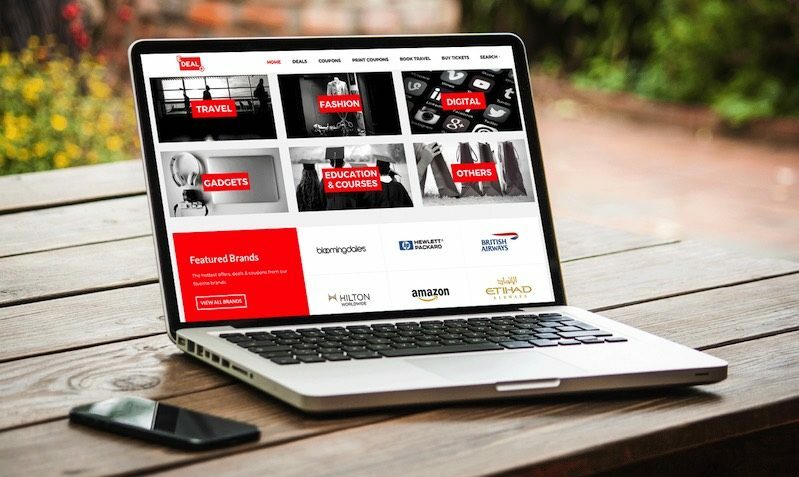 Online bargain aggregator EDEALO.com is now live. 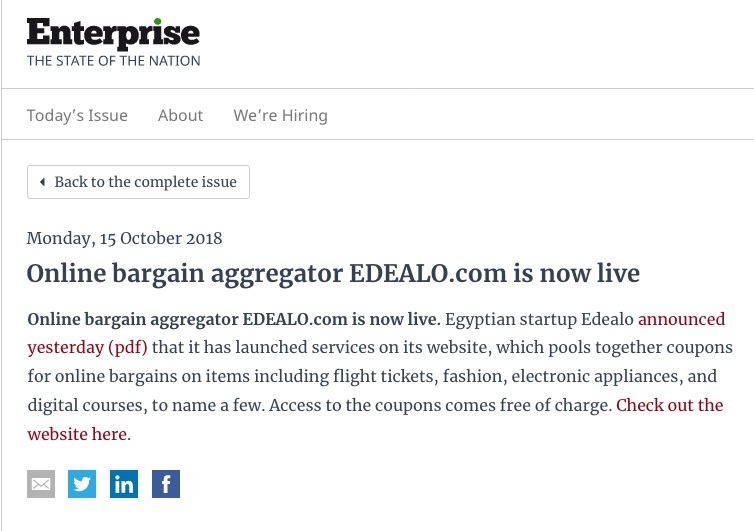 Egyptian startup Edealo announced yesterday (pdf) that it has launched services on its website, which pools together coupons for online bargains on items including flight tickets, fashion, electronic appliances, and digital courses, to name a few. Access to the coupons comes free of charge. Check out the website here. Read about it at Enterprise Featuring EDEALO.com Online bargain aggregator EDEALO.com is now live post.